The next batch of ducklings have hatched on the farm, and they are adorable. 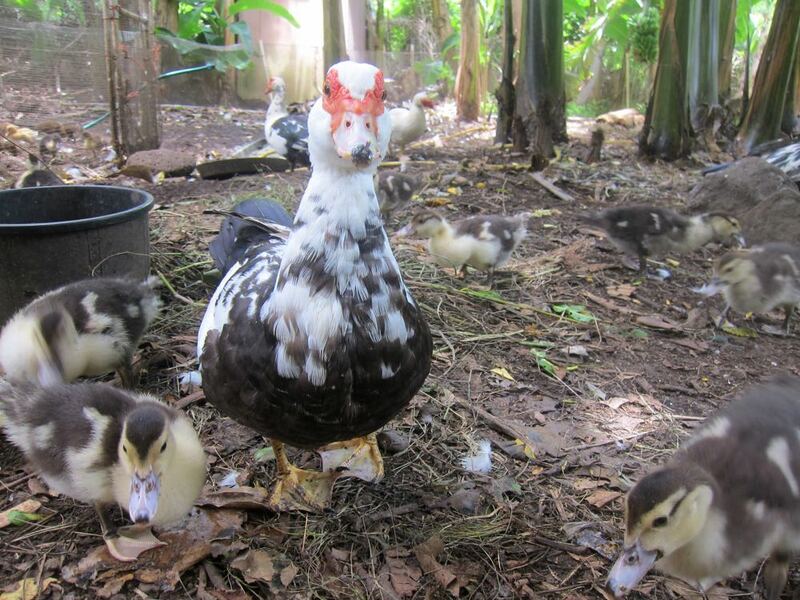 * Mama Muscovy is doing a great job of protecting her little ones and keeping them nice and warm. She’s a bit huffy with us, but knows we’re not really a threat, so she did raise up enough to allow us to peek in under her and watch a couple of the eggs hatch. However, once the ducklings started venturing out a bit, she wasn’t quite so pleased when I tried to film them. In fact, she attacked my camera! No publicity for these little ones yet says Mama! OK, maybe just a few photos: * OK, when are ducklings ever not adorable?